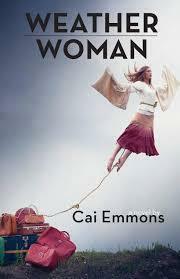 Cai Emmons, author of Weather Woman (Red Hen Press). As I mentioned on the show, the book trailer is great. Find it on YouTube. Cai opens the exercise with thoughts on how our pleasure in reading fiction is similar to the pleasure of snooping. We get a peek into the lives, physical spaces, and thoughts of other people. And in fiction, it’s okay - we’re allowed to be there, snooping! In fiction, we get to go even deeper than we can in actual life. We see into characters’ emotions and reactions; we have the right to understand both what is happening to them, and how they feel about it. Much of the process of knowing a character is learning how she thinks; this exercise helps us develop that understanding through how she experiences time, which, Cai explains, is an intricate braid of three strands: present, past, future. Here’s the prompt: Choose a character to write about, one you want to better understand. 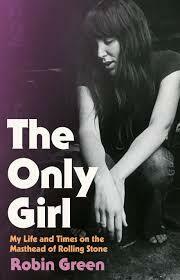 You are going to write four paragraphs about this character. First, write a paragraph in which your character is involved in some ongoing action: cooking a meal, searching for something that’s been lost, getting ready for an evening out--something like that. The prompt works best if the character is faced with some conflict or problem to deal with. Staying with the ongoing activity, write a second paragraph in which this character considers something that is going to happen in the future. In the third paragraph, write about a past event that your character is moved to recall due to some trigger from the ongoing action he or she is engaged in. Finally, in the final paragraph, use elements of forward- and backward-looking to help your character continue with or finish the action. Try to make the transitions between times feel smooth and uninterrupted. 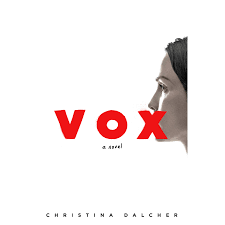 Christina Dalcher, whose debut novel is VOX (Berkley). This week’s Write the Book Prompt was generously suggested by my guest, Christina Dalcher. She says it works to "denormalize" our expectations. Start with something universally known with an expected outcome, and do something unexpected. The best example of this, according to Christina, is Shirley Jackson’s famous story, “The Lottery.” When we hear the word lottery, we think of something won, something positive. But Jackson’s story of course turns this on its head. Christina suggests we all read “The Lottery,” or read it again, and then try the exercise of writing something that denormalizes or defies reader expectations. Author and Screen Writer Robin Green, whose new book is The Only Girl: My Life and Times on the Masthead of Rolling Stone (Little Brown). This week's Write the Book Prompt was generously offered by Robin Green, who suggests you write an essay on a subject of your choosing and submit it to a magazine or newspaper. See what might happen. 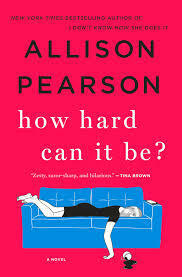 This week’s Write the Book Prompt comes from my interview with Allison Pearson, who says she likes to help readers feel the narrative pulse by adding a line at the end of each chapter that helps the reader along. “Would she get the car out of the river?” Offer the reader the reason to read on. 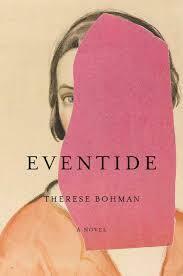 Swedish columnist and author Therese Bohman, whose new novel is Eventide (The Other Press). This week’s Write the Book Prompt, which is really more of a suggestion for how to take a break and recharge, was suggested by Therese Bohman. She likes to leave her work from time to time and take a walk. For each novel that she’s written, she has created unique playlists of music to listen to, to keep herself energized for the specific work she’ll be returning to after the walk. 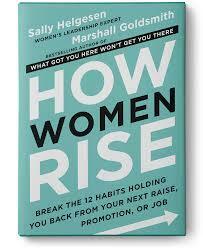 Women's Leadership Expert Sally Helgesen, co-author with Marshall Goldsmith of the new book How Women Rise—Break the 12 Habits Holding You Back from Your Next Raise, Promotion, or Job (Hachette). This week’s Write the Book Prompt is to consider how any of these categories might be holding you back in your work, and decide how to approach a solution. These are just a handful of the subjects covered in Sally’s book, which we discussed in our conversation: Being a Pleaser, Building Rather than Leveraging Relationships, Perfection, Minimizing (yourself or your work), Ruminating. Pulitzer Prize-Winning Author Jennifer Egan, whose new novel is Manhattan Beach (Scribner). Author Robin Romm, who has edited the new essay collection Double Bind: Women on Ambition (Liveright). 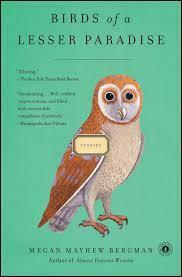 This week’s Write the Book Prompt was generously suggested by our guest, Robin Romm, who teaches at Warren Wilson’s low-residency MFA in Writing Program. One thing she says she loves to do as a writer is--at the end of a day--to write lists of very specific sensory things that she ran across that day. So perhaps a shirt, a clip of dialogue, a person’s face, in no particular order. Not feelings or facts, but colors, sounds, smells, dialogue. So the texture of the couch, or the way the cat looked lying in the sun, or something the mailman said as he waited for you to sign for a package. Having these lists leads to other things in interesting ways and gets you thinking like a writer. Robin says that these snippets will help to get rid of abstract worry and thought and help to focus on scene building. The sensory and the concrete almost always lead you into more interesting material in a way that intellect almost never does. Award-Winning French Novelist Camille Laurens, author of who you think i am (Other Press). Camille suggested we work on the theme "Changing the Premise.” The idea was to take our own experience as a starting point, a disappointing, unhappy or tragic experience … to imagine a different version, a new development, a possible ending, to invent a narrative that would reorient the actual course of our lives. This week, our prompt is to do this exercise. Rewrite a moment in your life that was disappointing in some way. Revise it, and see where it goes.